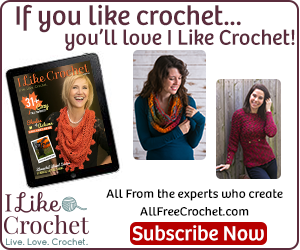 Add this pattern to your Ravelry favourites here. ~Approximately 1 inch Metal Rings X4. ~Yarn: Bernat Mosaic (Medium 4), in colour 'Pink Poodle'; 100g ball X2. ~Yarn: Bernat Satin Sparkle (Medium 4), in colour 'Bronze'; 80g ball X2. Approximately 12 sc = 3 inches. Approximately 7 rows = 3 inches. ** = Repeat instructions as many times as indicated within **. 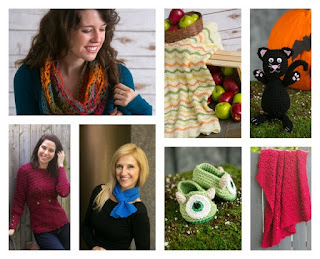 Did you know that Craftsy has 40+ FREE mini-classes? 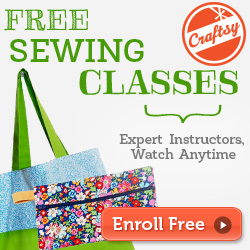 Give Craftsy a try with a FREE class! Boost your skills in a single day with one of these fantastic mini-classes in cooking, photography, drawing, knitting, quilting, crochet and more! 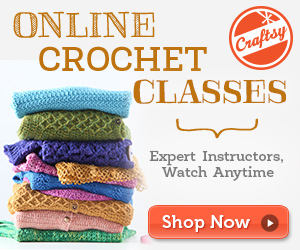 Once enrolled, the classes you choose, are yours to watch anytime and anywhere you want. 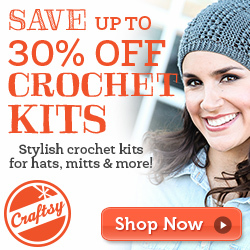 Craftsy even has an App for Android, iPhone & iPad! Learning at your own pace has never been so fun! I have been hard at work on my crochet purse. I tried many different ways to get my zipper right, but in the end I found a great zipper attachment tutorial by Pattern Paradise​. Now my zipper is perfect! This is my big fur baby, Cricket. She is the best dog, ever. I mean that! Every morning I get cuddles, whether I want to cuddle or not. She puts a smile on many faces. I find tho, with larger dogs, the poo situation is not always under control. So I made a sign to warn friends of her landmines. I received a large pile of old slate a few years ago when the church in my town had their roof redone. The Pastor was very kind to offer me the 300+ pieces of slate to do with as I choose. For a while I had no idea what I could do with them. Until just lately... I have been coming up with different crafty ideas. Today I felt like trying something different. I have little experience with polymer clay and would classify myself as a beginner. My first advice is to start with a clean, dry surface and supplies. I layed out wax paper to help keep my table clean and the clay from sticking to the surface. 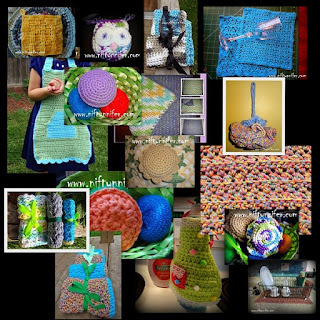 Today Niftynnifer's Facebook business page had a fantastic link blast. To visit Niftynnifer's Business page just click >HERE<. 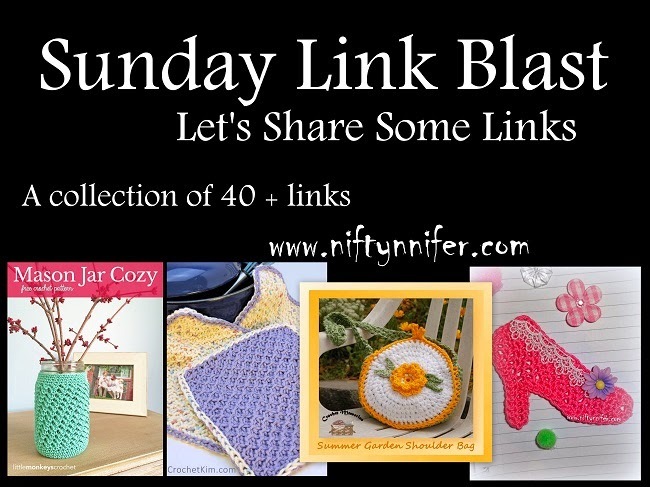 Here is a collection of all those fabulous links in one easy to find spot. This is a compilation of links from a collection of wonderful designers. Please contact the designers if you have any questions regarding their work. 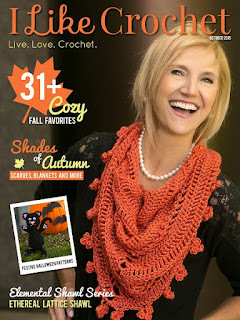 Don't forget to click on thier names to like their Facebook pages so you don't miss any fabulous new designs. Phentex Merit, Medium 4 Yarn in colours; 'Creme Menthe', 'Candy Floss' and 'Chocolate'. Caron (one pound) Baby, Medium 4 Yarn in colours; 'Yellow' and 'Denim'. 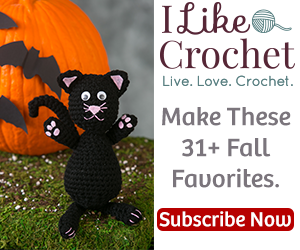 This pattern includes a mix of stitches to give it this unique appearance. I made some more washcloths. These ones are super easy. A great project for beginners. These ones work up pretty quick and look great prettied up with ribbons.